Looking for your next car in the Elkhart, IN area? You’ve come to the right place! At Gurley Leep Honda, we know how to make buying your next new, used, or certified pre-owned car as easy and stress-free as possible. That’s why our sales team will make you their highest priority: answering any questions you may have about your new Accord, Civic, Odyssey, CR-V, or Pilot and striving to meet your standards. 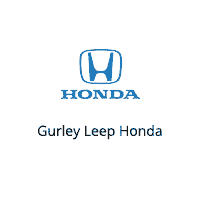 Already a Gurley Leep Honda owner? Our responsibility to you continues – when your new Honda needs service or maintenance, visit our Honda Certified Service Center. Honda certified service technicians use only genuine OEM parts to get your car back on the road. Schedule your service online or call (574) 522-4475 today! So when you’re ready to buy your next car, call (574) 522-2000 and visit Gurley Leep Honda 2345 Cassopolis Street in Elkhart serving all of Michiana including South Bend and Mishawaka. Abe Aranda, thank you for listening and being willing to learn the real issue!! Your patience is awesome.. Good learning experience for all of us!! The free car washes are nice too!! Friendly staff and nice people, I didn't buy here because they were more expensive then another dealership. I wanted their bottom line price and they lowered it 3 times but in the end they were still higher which was a shame because the sales guy Dean was really nice. I ended up buying a CR V in Kalamazoo area and saving a bunch of money and even got a bunch of things thrown in. Otherwise they were really nice. Friendly positive attitudes and very helpful. I am from out of town and had some issues with my Honda. I stopped at Gurley Leep Honda and was immediately greeted by Curt. He was extremely polite and knowledgeable. Curt went above and beyond to make sure I felt like family. I would love to have someone like him to be my go to guy back home in New York. Great Job Curt.